A call to John Cohen at Merle Wood & Associates turns up another unreported sale for March 2010, as he represented the buyer in the sale of Westport's 34.1m motor yacht Beach Girl, with Alex Rogers at Westport Yacht Sales acting for the seller. Beach Girl was built by the Westport yard in 2005 and features a satin cherrywood interior accommodating 10 guests in a master, VIP, double and twin cabins. 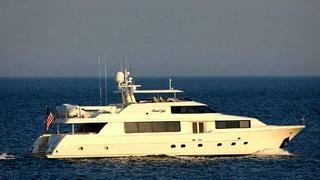 Now renamed Primadonna, this superyacht was asking $7.1 million.